German botanist; born at Wziesko, Oberschlesien, Nov. 30,1823; died at Berlin Oct. 6, 1894. He was educated at the Friedrichs-Gymnasium at Breslau, and at Leipsic, Berlin (Ph.D. 1848), and Paris, in which latter two cities he devoted himself especially to the study of botany. He established himself as privatdocent in botany at the University of Berlin in 1851. His "Entwickelungsgeschichte der Achlya Prolifera" was published in the "Abhandlungen der Leopoldinisch-Karolinische Akademie der Naturforcher," 1851. 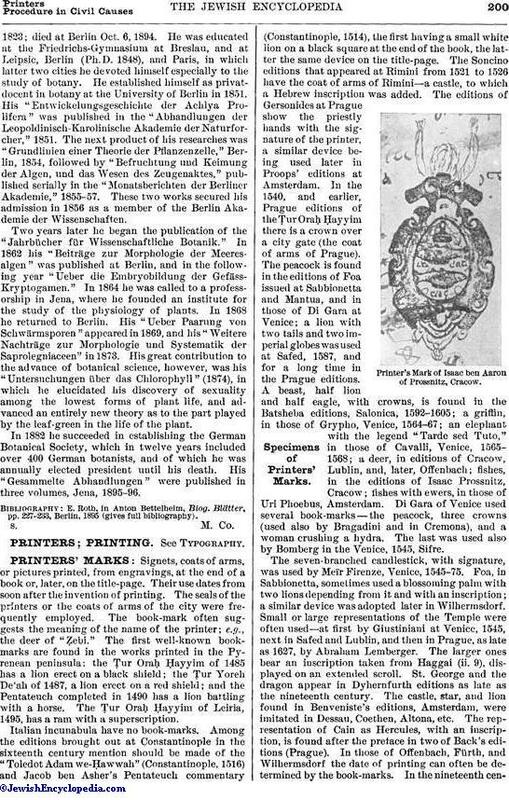 The next product of his researches was "Grundlinien einer Theoric der Pflanzenzelle," Berlin, 1854, followed by "Befruchtung und Keimung der Algen, und das Wesen des Zeugenaktes," published serially in the "Monatsberichten der Berliner Akademie," 1855-57. These two works secured his admission in 1856 as a member of the Berlin Akademie der Wissenschaften. Two years later he began the publication of the "Jahrbücher für Wissenschaftliche Botanik." In 1862 his "Beiträge zur Morphologie der Meeresalgen" was published at Berlin, and in the following year "Ueber die Embryobildung der Gefäss-Kryptogamen." In 1864 he was called to a professorship in Jena, where he founded an institute for the study of the physiology of plants. In 1868 he returned to Berlin. His "Ueber Paarung von Schwärmsporen" appeared in 1869, and his "Weitere Nachträge zur Morphologie und Systematik der Saprolegniaceen" in 1873. His great contribution to the advance of botanical science, however, was his "Untersuchungen über das Chlorophyll" (1874), in which he elucidated his discovery of sexuality among the lowest forms of plant life, and advanced an entirely new theory as to the part played by the leaf-green in the life of the plant. In 1882 he succeeded in establishing the German Botanical Society, which in twelve years included over 400 German botanists, and of which he was annually elected president until his death. His "Gesammelte Abhandlungen" were published in three volumes, Jena, 1895-96. E. Roth, in Anton Bettelheim, Biog. Blütter. pp. 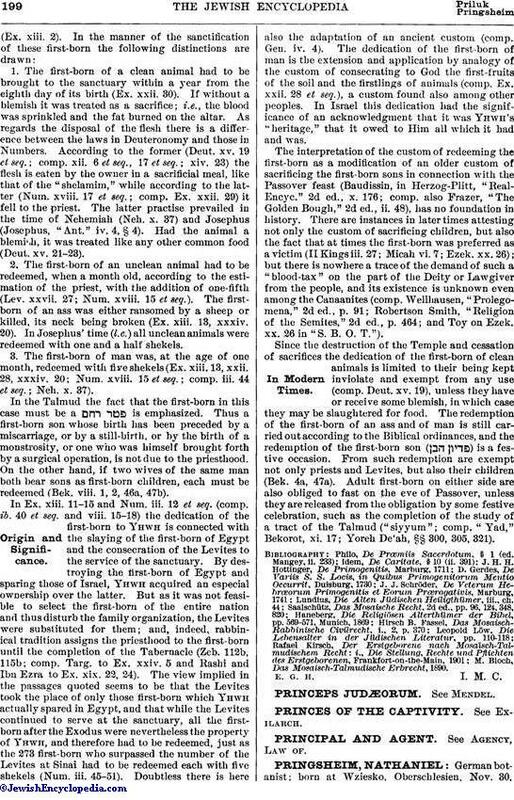 227-233, Berlin, 1895 (gives full bibliography).